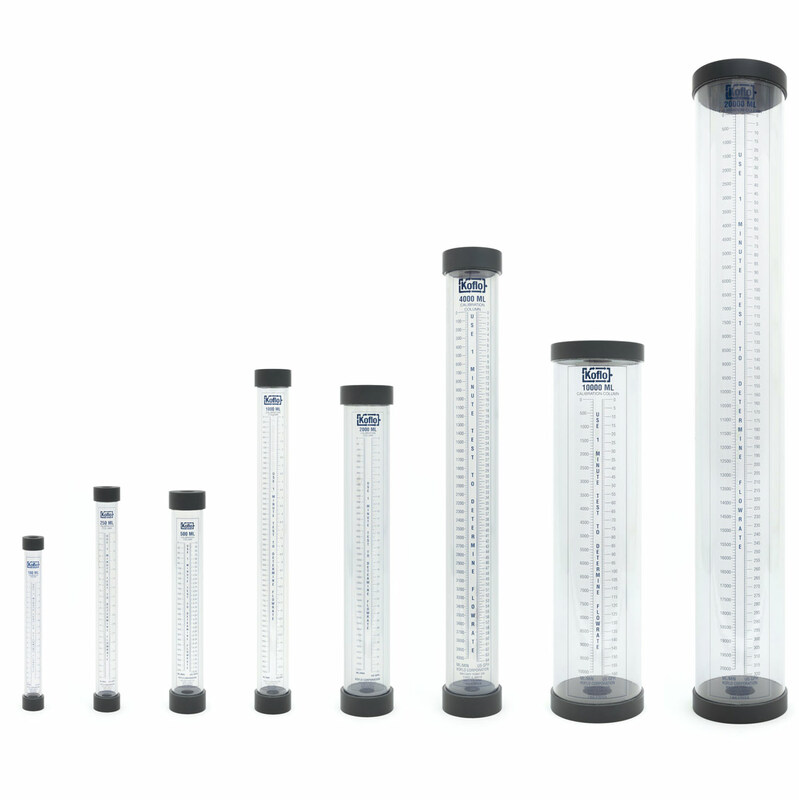 Koflo pump calibration columns / calibration cylinders provide a simple method for determining pump flowrate using industry-standard graduations of milliliters/minute and gallons/hour. Top-aligned graduated scales allow the operator to survey both ml/min. and GPH in a single test. High-contrast blue lettering enhances readability in all light conditions, and all scales have a protective Mylar lamination to protect against chemical attack. All sizes feature rugged construction using industrial grade machined PVC fittings. 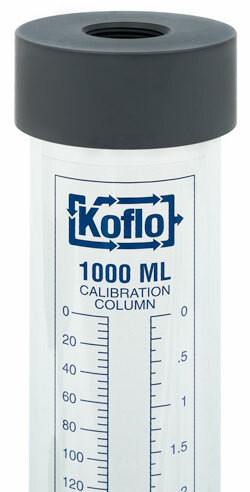 Each Koflo® calibration column comes with two precise graduated scales behind a protective layer of Mylar lamination to protect against chemical erosion. These dual-scale metered graduations provide more accurate measurements for the calibration columns. See Technical Specifications for more information on available scales. 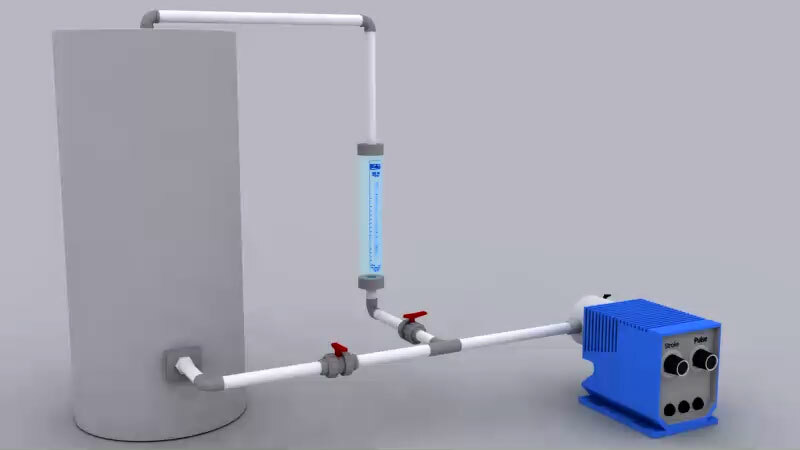 How do Calibration Columns work?